I have been the happy owner of this fridge for over a year now (since I moved to my new place) and I am now confident to review this wonderful piece of kit. 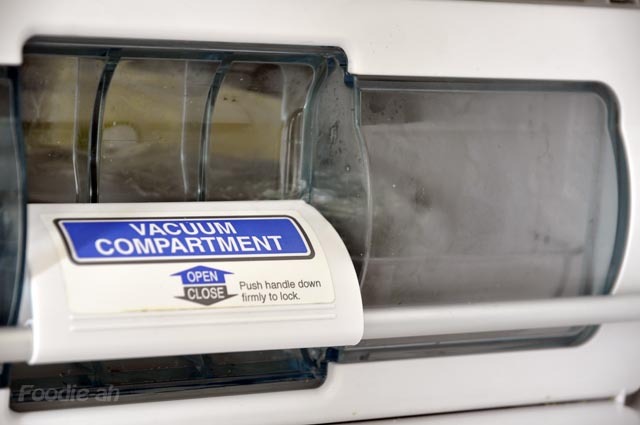 This is the first fridge that introduced a revolutionary feature: a vacuum compartment. It is basically a drawer that keeps whatever is stored within under vacuum, prolonging the lifetime of the food and its freshness. To give you an example, parsley is one of the most perishable herbs, and I tried storing one bunch in the vacuum, and one in the vegetable compartment. After a week, the parsley in the vegetable compartment was totally dried, dead and unusable. On the other hand, the bunch in the vacuum drawer was still perfectly fresh after TWO weeks! Bottarga - it won't age and dry out so long as you store it in the vacuum, so you can stop aging it when you are happy with the consistence! More generally, I store any expensive / delicate ingredients that tend to dry out and age rapidly. Also, besides the fact that food keeps fresher for much longer periods, it also retains more of its vitamins and nutritious elements, since these do not oxidize. 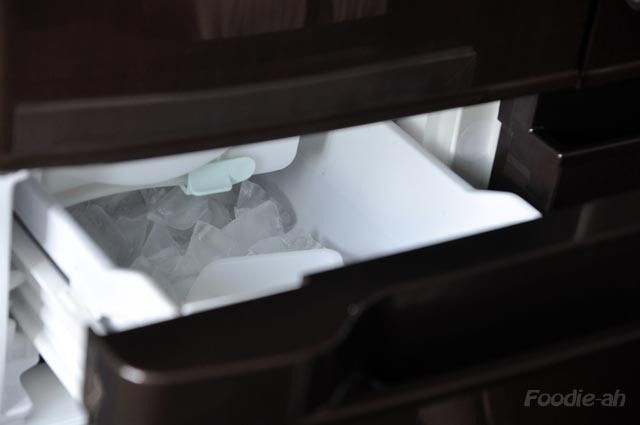 The ice cubes compartment is extremely large and stores sufficient ice for everyday use. I much prefer the drawer concept to the "push the button and ice pops out" idea. Popping ice looks cool, but for practical purposes the drawer can't be beaten, and you will always know exactly how much ice you have left. A dedicated "fast freeze" drawer, which I use for the initial freezing period whenever I freeze from fresh. 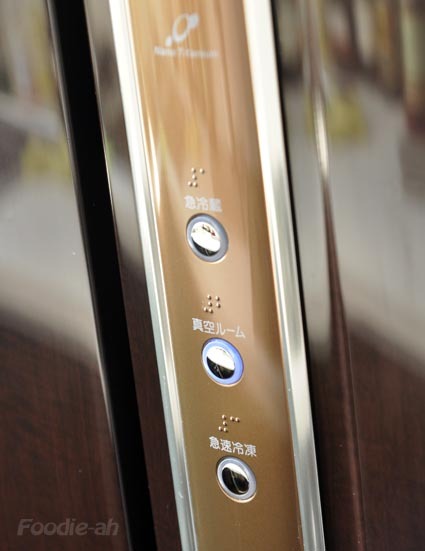 Fast freeze button. The conclusion is - if you are a foodie, you will love this fridge - it will just take some time to get used to the idea that now you can preserve what you used to think was impossible. Definitely, you can count me in!